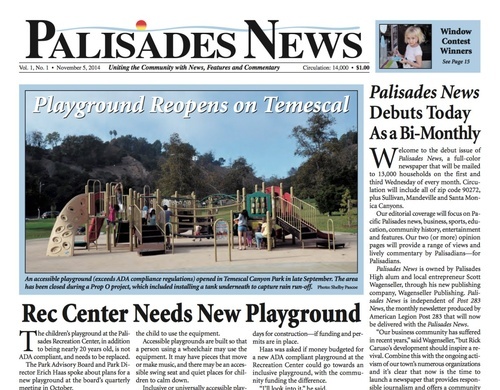 The first edition of Palisades News appeared on November 5, 2014 and has been producing a print edition twice a month ever since. Along with its regularly updated website, Palisades News provides a forum for Palisadians to discuss issues of the day in town, while learning about local history and events that change the community. Wagenseller Publishing is proud to provide in-depth community reporting that is ethical, educational and thought provoking. Print edition delivery dates are the first and third Wednesday of the month. 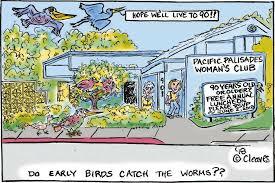 The newspaper’s 14,500 circulation includes the zip code of 90272, and Sullivan, Mandeville and Santa Monica Canyons. All content printed and online is copyrighted.